Cybex extend its elliptical product line with the Arc trainer. By making a scientifically tested arc trainer which is more smoother on joints, Cybex prove its innovative research again. 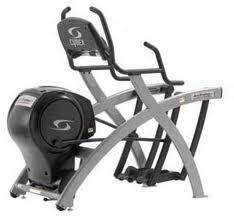 Cybex arc trainer are stronger , durable and efficient than previous ellipticals. Cybex has different arc trainer or elliptical for different parts of body or can be say Body centric ellipticals. Total body and Lower body are main ellipticals or cross trainers. Cybex ellipticals offer various models of ellipticals with taking care of different customer needs.